Winter or summer, the road can be a lonely place, especially when you’re driving too many hours on too little sleep. It’s good to have a friend along for the ride. But be careful, not all of your passengers are the ones you want to sit next to. 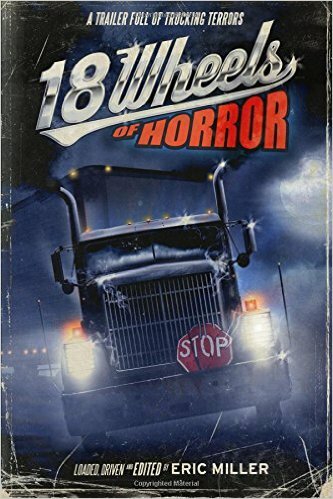 These 18 stories pay homage to the drivers of the 18-wheelers on the roads, the big trucks that are the lifeblood of America. They’re the ones who keep the country supplied with absolutely everything it needs to continue living. Most of the stories are take place at night. The drivers are usually alone in their cabs, thinking their thoughts and remembering their lives. Not all of the stories are gory or even scary. Some are about the power of love. Some are about the power of ghosts. Some stories are a glimpse into what can be or might be. The choices made belong to the story’s protagonist. Among the offerings – Our first driver talks to the voice on his CB radio. Unfortunately, no other driver on the road can hear the radio voice. One co-driver proves that an ancient siren is no match for modern technology. Not all ghosts are mean. Some are giggling children who will help a driver in trouble. Then there’s the science experiment – kill it or save it? Everyone has a choice. To do or not to do. What is so right about one decision is also so wrong for another reason. Speaking of right and wrong, don’t forget that on the road you can be too careful and that just might get you into the trouble you were trying to avoid. Truckers’ rest stops might also not be the safest places to ride out trouble. Sometimes the big wheel drivers are fine, it’s the other drivers we have to watch out for. Is the narrator a garden variety paranoid or is he right in worrying about people following him? Or, when the boss says don’t look inside the package, then do not look. No matter how hungry you are and no matter how good the smells are coming from that box. Above all, make sure you want to know what the truck is carrying before you open the doors to see. These big trucks can be the means to take you to vengeance or take you to redemption. It all depends on the driver. Each story is by a different author with a very different voice and point of view. Not all the stories are hits. I’d have to rate this book as 95.5%, which, let’s face it, is a lot better than most of the books out there. Take your time with these and enjoy. 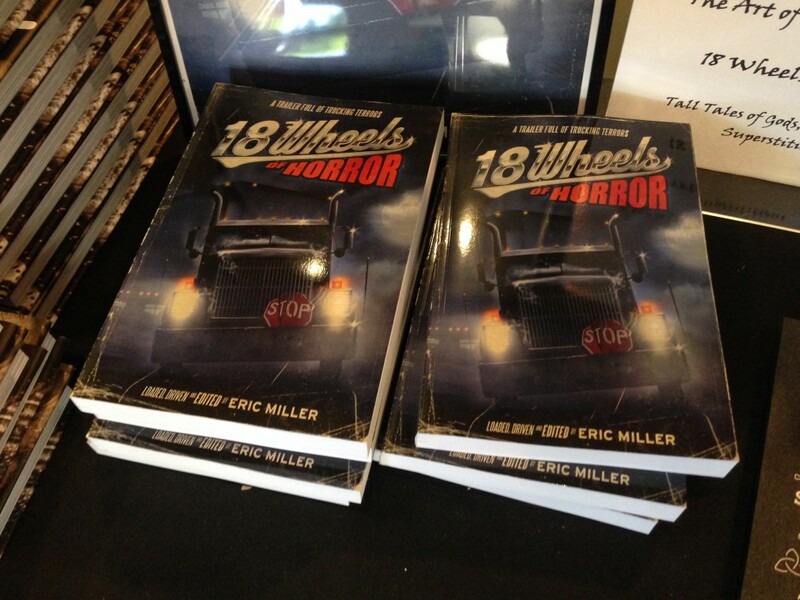 Eric Miller deserves a vote of thanks for putting this book together. Thanks so much for this lovely review. I am one of the authors involved and we appreciate such high praise. I also second your acknowledgement of Eric Miller who put this all together so well.